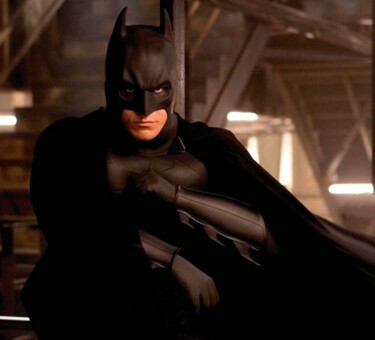 The famous Batman series was given a new lease on life with the monster hit “The Dark Knight” which hit theaters recently. In the movie, Batman, played by Christian Bale, must grapple with several black, white and grey issues as he confronts the nefarious Joker. 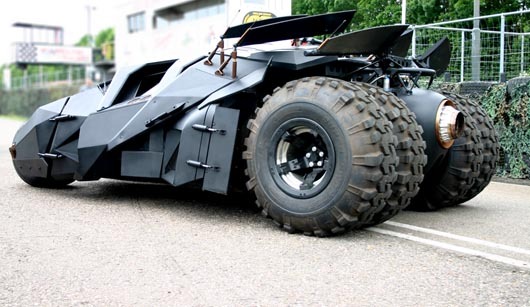 However, the caped crusader has an ace up his sleeve– a beefy military style vehicle known as the Tumbler which was described by the designer as a cross “between a Lamborghini and a Hummer”. This beast sports a V8 Chevy 350 with a respectable 500 HP as well as distinctive 44″ tires. An amazing replica has been built and can be seen here. Unfortunately, the Joker’s wiles prove too much for Batman, and in one scene the hero ejects and is forced to destroy the vehicle…. The batmobile has a rich history, stretching back into its comic book years and even onto the small screen. In the 1960’s the “Lincoln Futura” was used while later incarnations were built upon Chevrolet Caprices and Buick Rivieras.